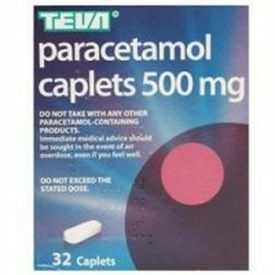 Paracetamol 500mg Caplets has an effective ability to reduce often the most severe temperature. Paracetamol 500mg Caplets has an effective ability to reduce often the most severe temperature. Paracetamol is a pain killer that is used for several medical conditions related to pain and fever, and should be only used for short-term relief. Paracetamol tablets offer effective relief of mild to moderate pain and are safe and effective when taken as directed on the label. Relieves discomfort and help lower temperatures in colds, flu and sore throats.